Set up a corporate account for easy billing. 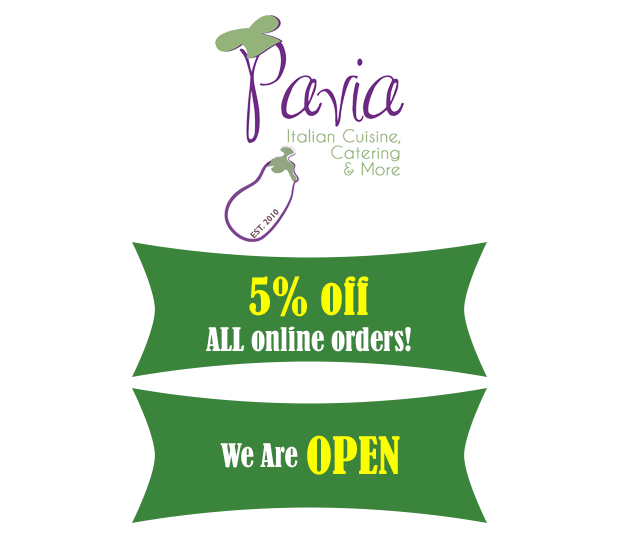 We also offer incentives when you open the account with Pavia. Receive up to 30% discount when you open a Pavia Corporate Account. 10% off on your first order and 5% off on next next 4 orders. How to create a catering account? Simply complete the application form from one of our links below and you can start taking advantage of your membership account. If you will be paying with a credit card or cash you DO NOT need to open an account. This menu represents a sampling of what Pavia can provide. We will be happy to create a customized menu and accommodate special requests for any of your catering needs.